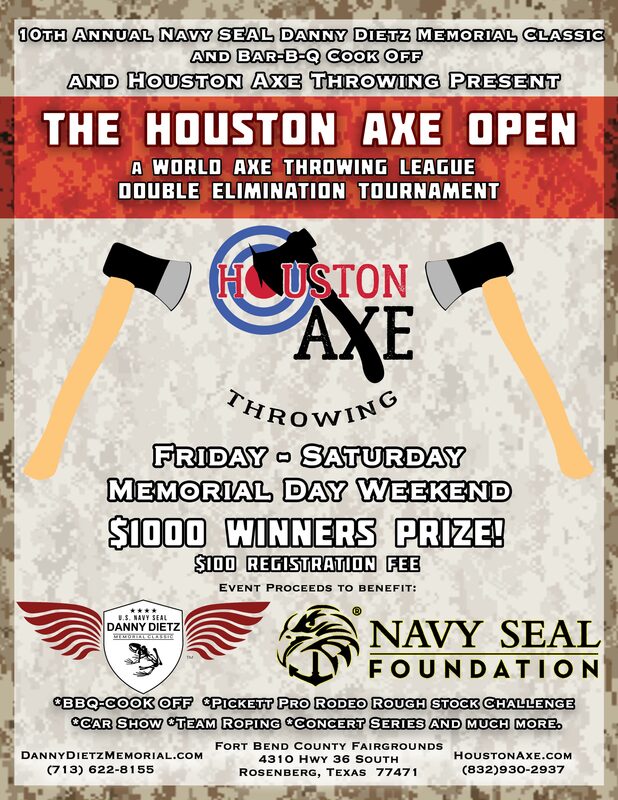 We are excited to announce that Houston Axe Throwing & The 10th Annual Navy Seal Danny Dietz Memorial Classic are hosting the first annual Houston Axe Open Memorial Day Weekend 2019. The tournament will be a World Axe Throwing League double elimination axe throwing tournament in Rosenberg, Texas at the Fort Bend County Fairgrounds. The first place winner will receive a $1000 cash prize. Registration to compete is $100 per participant and includes entry to the 10th Annual Navy Seal Danny Dietz Memorial Classic and Bar-B-Q Cook off held May 24th-27th, 2019. Event proceeds from the Memorial Classic benefit the U.S. Navy Seal Danny Dietz Foundation and the Navy Seal foundation. Spectators can buy tickets directly through the Memorial Classic. Email info@houstonaxe.com with any additional questions. The entry fee is $5 and you’ll also receive an entry into our prize drawing where you can win free tickets to events around town, gift cards and other prizes! Feel free to bring your favorite game to play, we’ll also have some on site as well. You’ll still have to bring your own beer and wine, but it’s worth it because gaming is always better with an ice cold adult beverage. You can also bring your own snacks. Sometimes people chip in together for pizza delivery. It’s OFFICIAL! 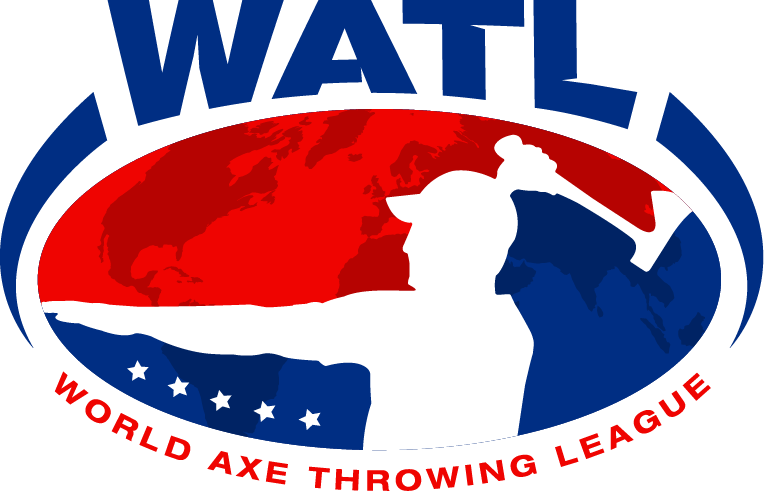 June 13th, is International Axe Throwing Day!! What does that mean? FREE AXE THROWING! Please invite your friends to this once-a-year event. This international “holiday” encourages people to bring their friends and family to try out axe throwing for free. It’s a priceless (pun, intended) opportunity to let everyone experience the adrenaline rush of chucking axes with friends and family. Our purpose is to have people drop their phones, the stresses in their life and enjoy a social, fun and active lifestyle through axe throwing. If you bring a donation for the Houston Food Bank, you’ll be entered to win prizes! Some items that can be won are free axe throwing sessions, Cheesecake Factory gift cards, t-shirts and more! The minimum age to participate without a parent/guardian is 18. Children ages 12+ can participate with a parent/guardian if they are with a parent/guardian at all times. Children under 12 must be supervised at all times and cannot be in the axe throwing area. Please bring a valid government issued ID verifying your age. Closed toed shoes are required to participate. RSVP or just show up! It’s open house style so we’ll be grouping people first come first served.